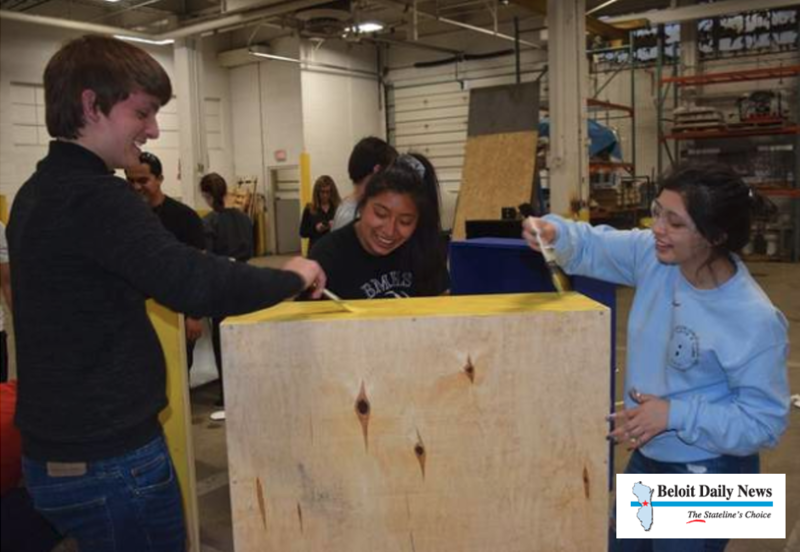 CCI is proud of the students at Beloit Memorial High School who planned and executed this bookcase building event for literacy. We are also excited that CCI associates, Seth and Justin, could lend their expertise to this wonderful cause. Be sure to join the students at the Beloit Public Library on May 11th for their book give-a-way and bookcase raffle! 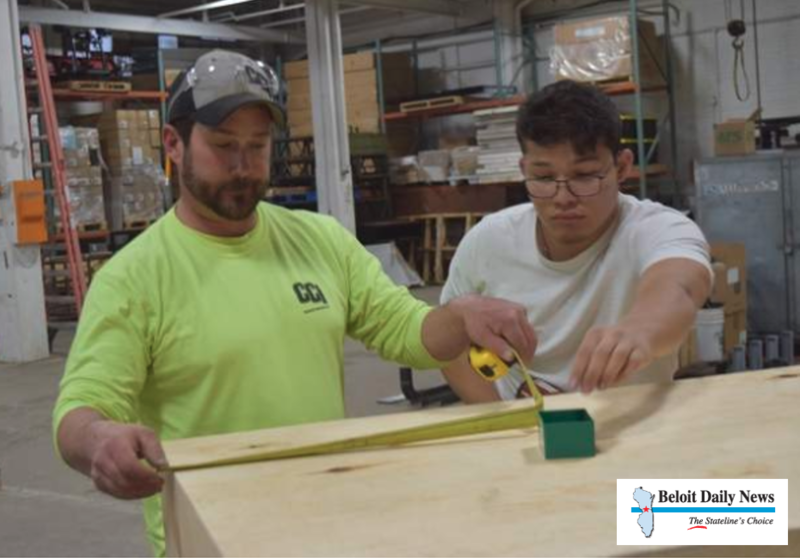 Hillary Gavan/Beloit Daily News Beloit Memorial High School National Honor Society student Jorge Jurado-Garcia (right) gets help building from Corporate Contractors Inc. Foreman Seth Nathan. Jurado-Garcia and other students were building bookshelves to be raffled off at an upcoming literacy event for families. BELOIT – Beloit Memorial High School National Honor Society students have been rounding up books and shelves to help boost early literacy. Student Gloria Heiss and fellow students will be hosting a book giveaway event from noon – 1 p.m. on May 11 at the Beloit Public Library. The free event will offer games, cookies and tables full of books to peruse. Heiss is expecting around 100 kids and parents. Around 1,000 books will be given away designed for children ages 3 to 12. “They can grab anywhere from 10 to 15 books per family,” Heiss said. Books such as “Dog Man” and “Diary of a Wimpy Kid” will be raffled off as well. Heiss said the $1,000 for the books came from the Hendricks Family Foundation and $500 came from Jeffrey Peterson of Geneva Supply in Delavan. “I want to get books into the hands of children,” Heiss said. Although the students were excited to give away books, they said they wanted to do something more and decided to build and paint bookshelves to be raffled off at the end of the event.